Are you tired of spending your free time reconciling your books, but don’t want to spend a small fortune hiring an expensive full-time CFO or controller? If so, get in touch with SLC Bookkeeping! We are the outsourced bookkeeping service that provides your business with accurate and timely back office functions, from basic project management to complex strategic planning. New clients of our outsourced bookkeeping services typically have two main questions: How does it work, and how much does it cost? The answers to both questions are not predetermined. Every client's needs are different, as is their bookkeeping system. Therefore, the way our outsourced bookkeeping services work, and the price we charge, fluctuates with each client. It happens to the best of us. Times get hectic and recordkeeping efforts slide. Do not spend your valuable free time managing reconciliations and comparing cash flow to receivables — call SLC Bookkeeping outsourcing services instead. Our professionals are the reconciliation and project management experts. We will make sure your records are accurate and easy to understand, giving you the stepping-stones you need to make better decisions. Every client's needs are different, so we pride ourselves on being able to set up customized bookkeeping services that are tailored specifically to the needs of each individual client. As an example, maybe a client needs to see a certain report every Monday with updated financial information in order to run their business. On the other hand, a different client may just want to see a monthly P&L and balance sheet. If you already have, systems and controls in place but need help with QuickBooks, call us. SLC Bookkeeping’s outsourced bookkeeping service is QuickBooks ProAdvisor certified, which means we are qualified to troubleshoot your most complex operational challenges. Our professionals can give you the insights you need to keep your back office running smoothly. Outsource bookkeeping services with SLC, and your reporting will stay error-free all year long. Our team has over 50 years of collective QuickBooks and bookkeeping experience, and represents a wide range of college majors, including finance, accounting, business, actuary math and marketing. Everyone has a business background — although his or her particular focus may not necessarily be accounting. To stay abreast of industry changes, all of our bookkeepers go through a training period to get up-to-speed with QuickBooks and bookkeeping in general. Does your business need customized reporting for your next important transaction, tax return or acquisition? Outsource your bookkeeping and get accurate, timely reporting. SLC Bookkeeping can create the financial reporting tools you need to make better decisions. Gain important insights through a clearer cash flow statement or variance analysis, or create a budget and forecast that makes sense for the way you do business. SLC Bookkeeping can help, whether you need daily, weekly, monthly, quarterly or annual reporting. Many businesses find they need special documentation or reporting before engaging in a merger, acquisition, sale or partnership. SLC Bookkeeping manages day-to-day back office functions, but we also provide guidance for more complex challenges. We offer industry-specific bookkeeping including: restaurants, yoga studios and medical professionals, just to name a few. Our bookkeeping team is extremely outdoors oriented, and we like working with people that enjoy nature. We spend our free time skiing, mountain biking, fly fishing, hiking and rock climbing, just to name a few activities. If you have a passion (does not necessarily need to be outdoors sports) outside of the office, we will most likely work well together. Hopefully this gave you some information about how SLC Bookkeeping's services work. 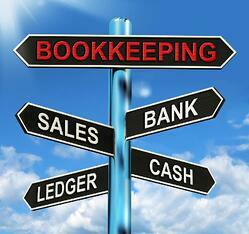 We offer customized bookkeeping services for each client at a rate they can afford. We value your security and always make sure your financial information is kept confidential. We are able to offer you part-time bookkeeping services with a full-time presence. We are all college graduates with a passion for helping small businesses succeed. In addition, we all enjoy our own passions outside of the office. Feel free to reach out! SLC Bookkeeping is available to review your business’s needs and provide you with a free quote. Get in touch with us by calling 801-216-3870.